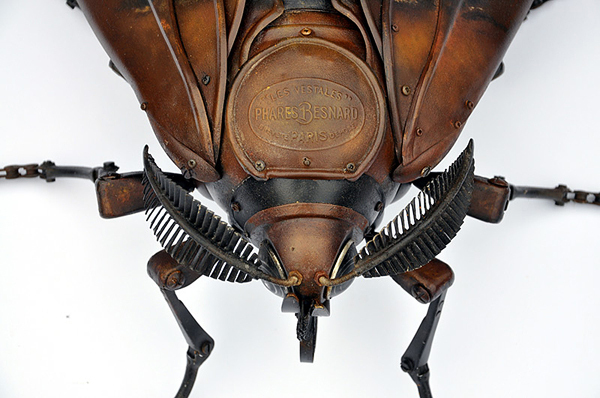 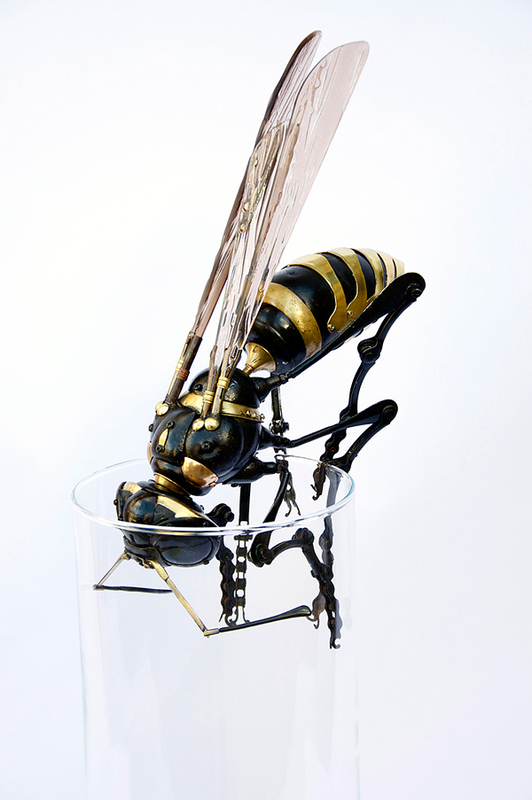 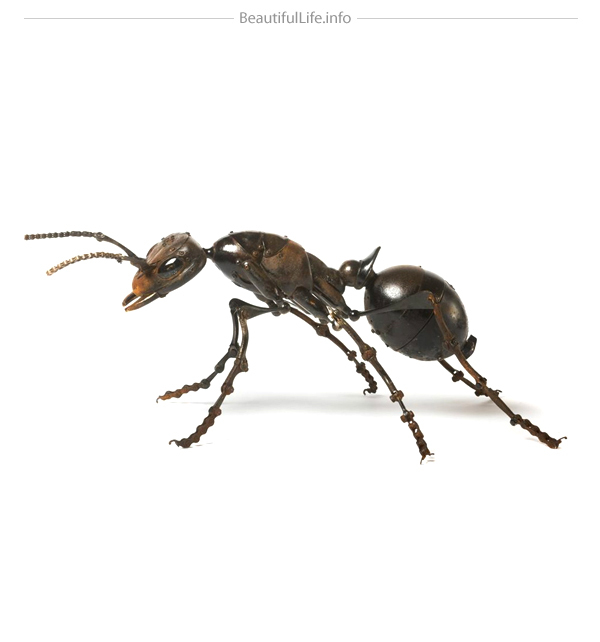 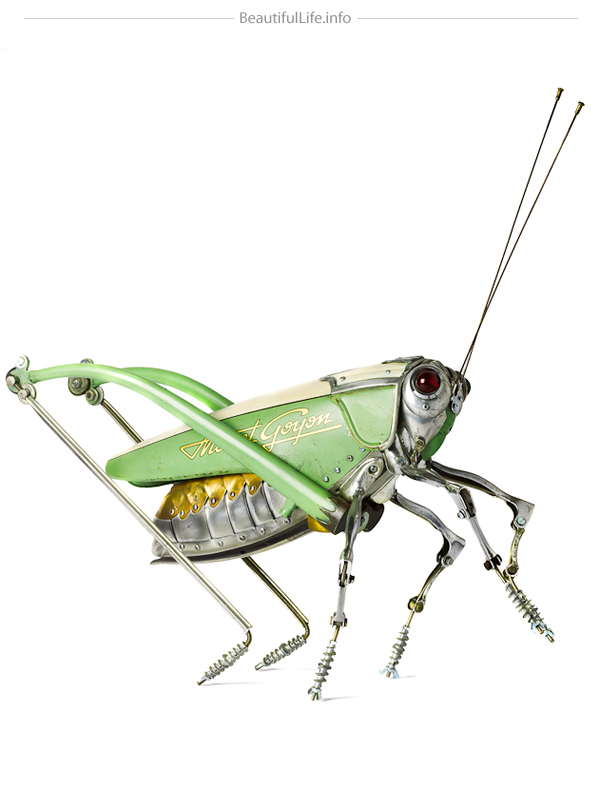 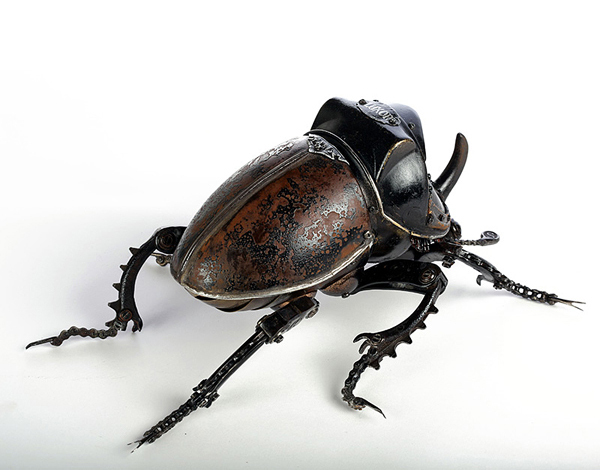 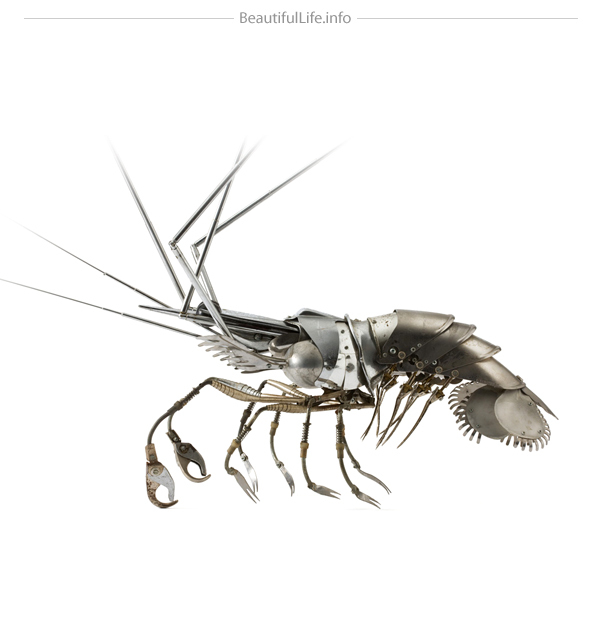 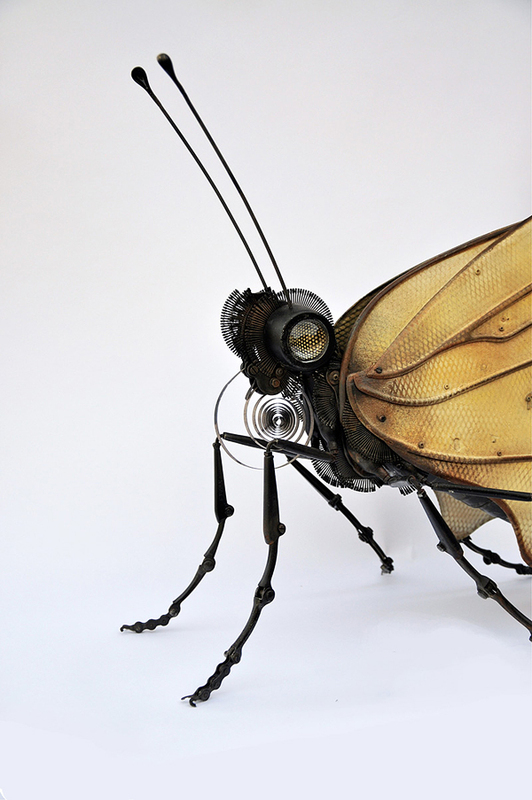 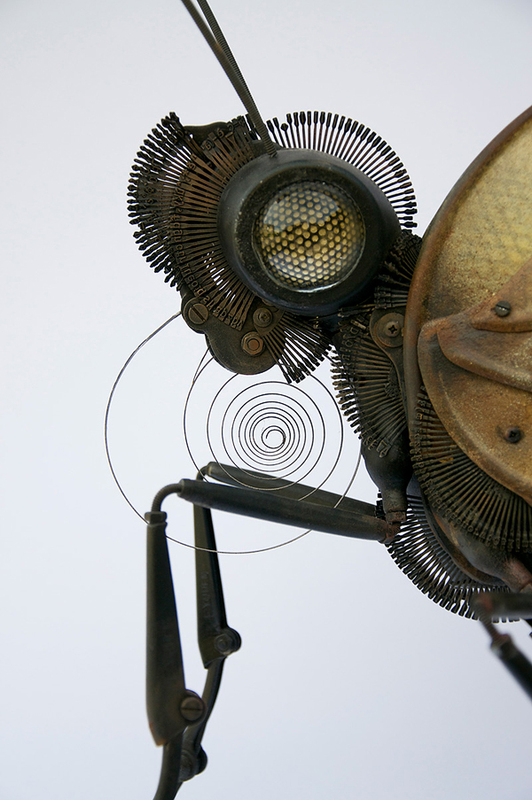 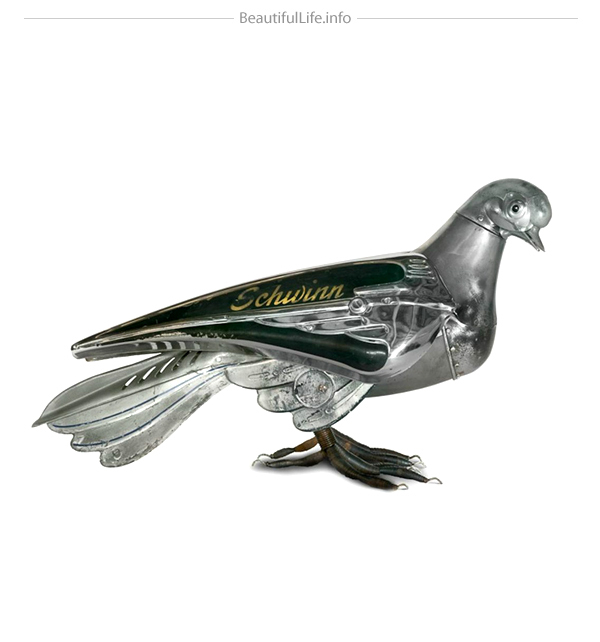 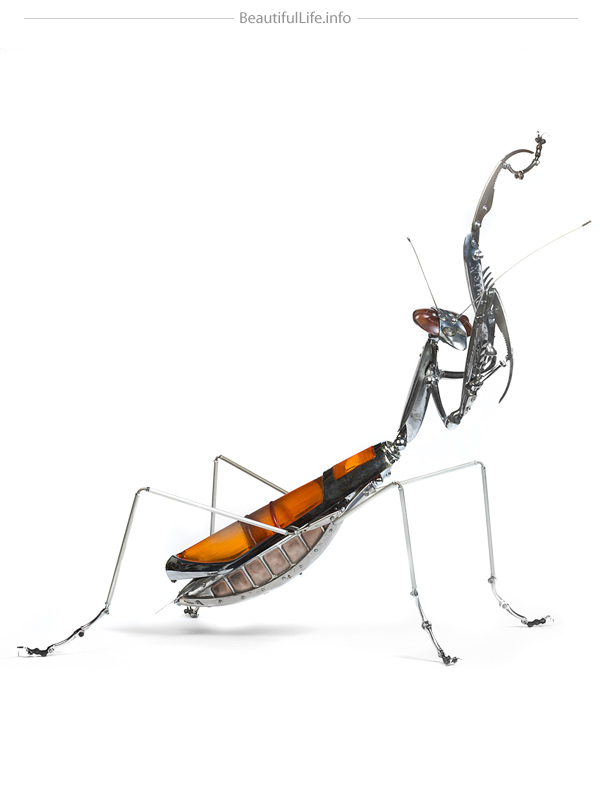 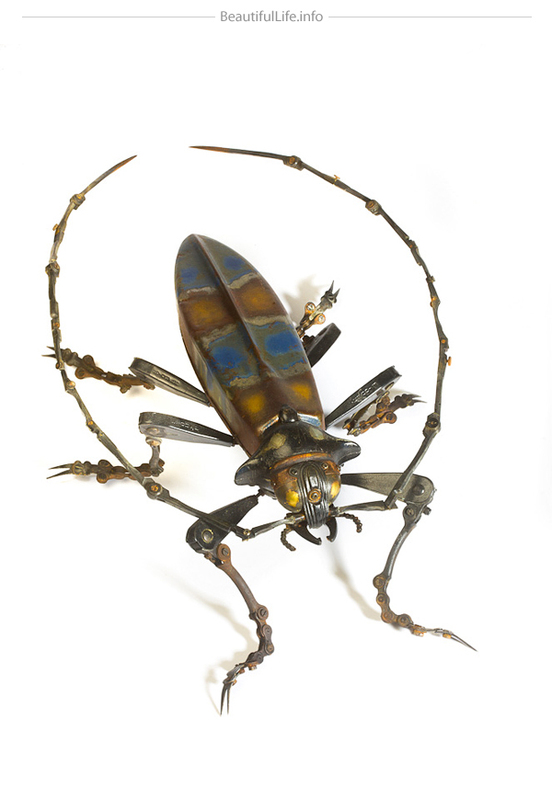 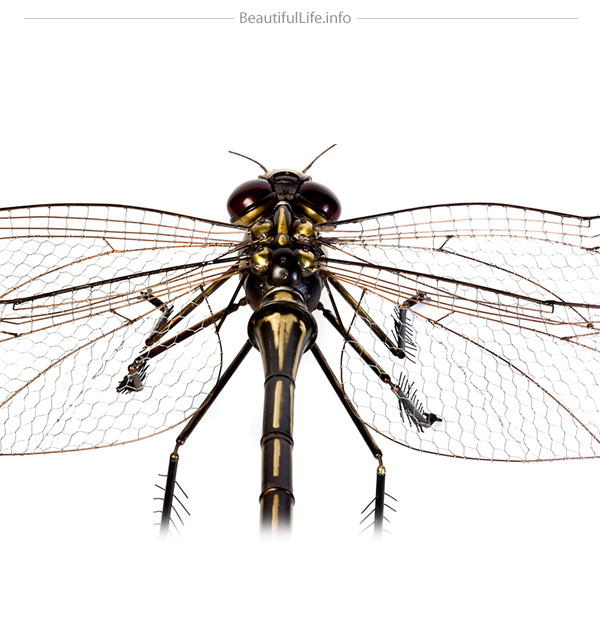 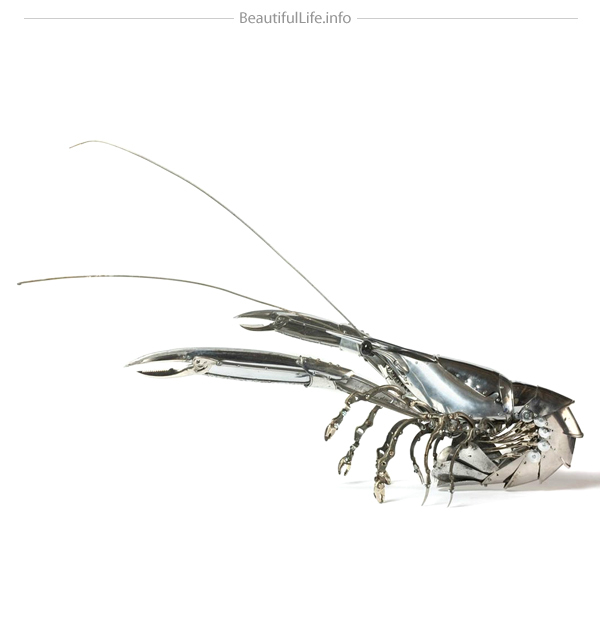 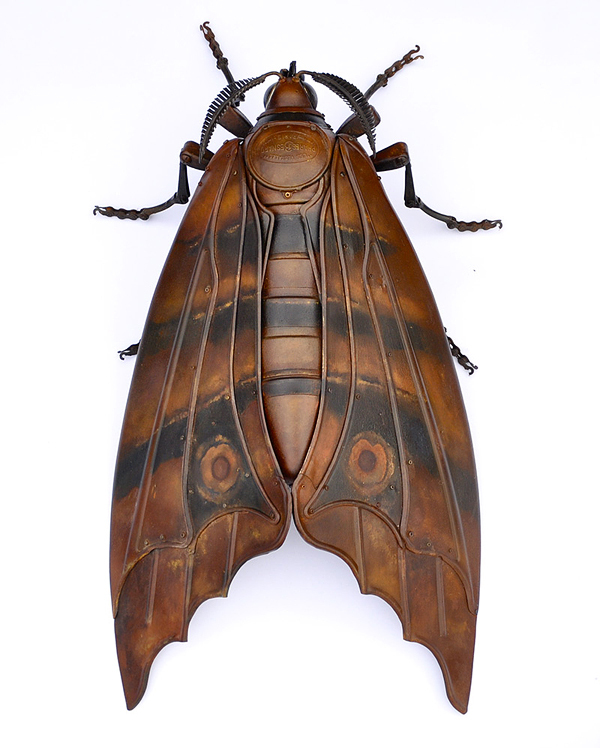 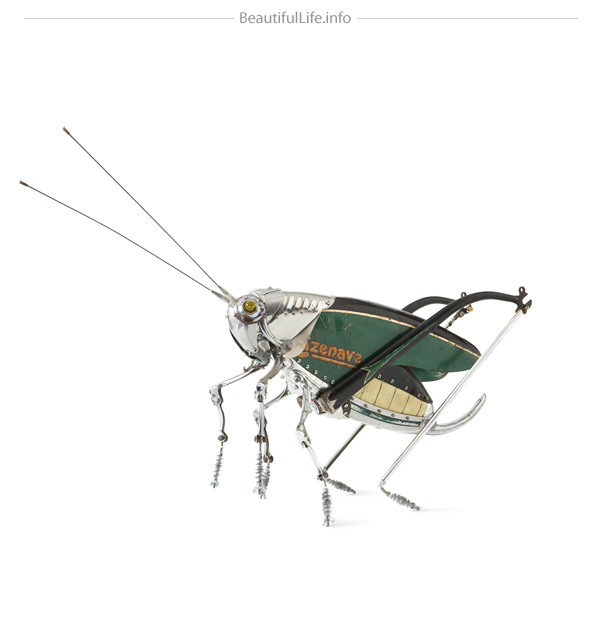 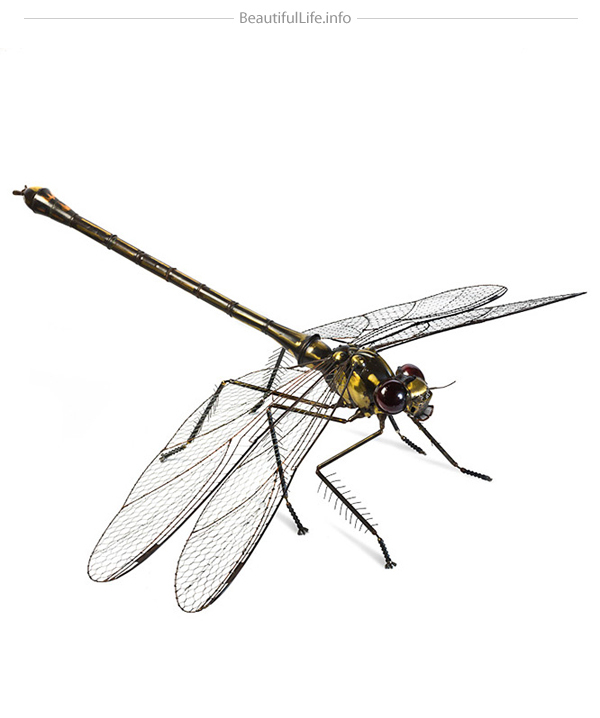 To get these stunning insect sculptures French artist Edouard Martinet uses part of a car, bicycle, umbrella, compass, typewriter, clock, compass and much more. 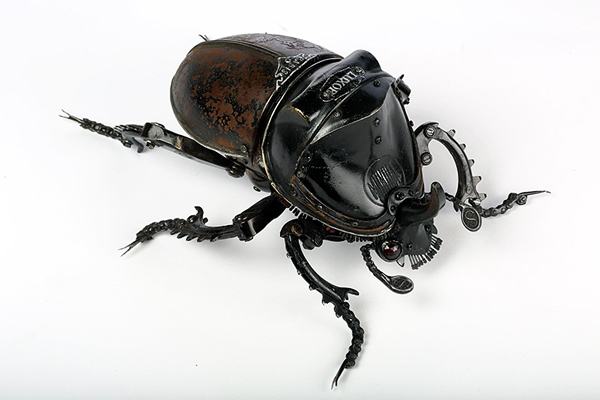 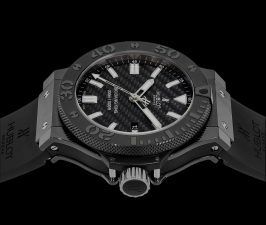 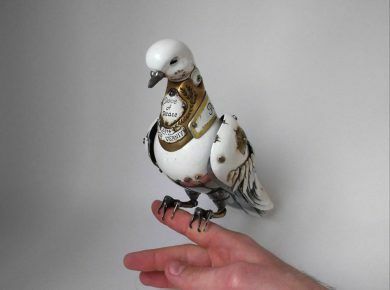 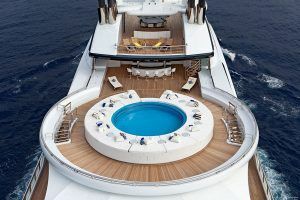 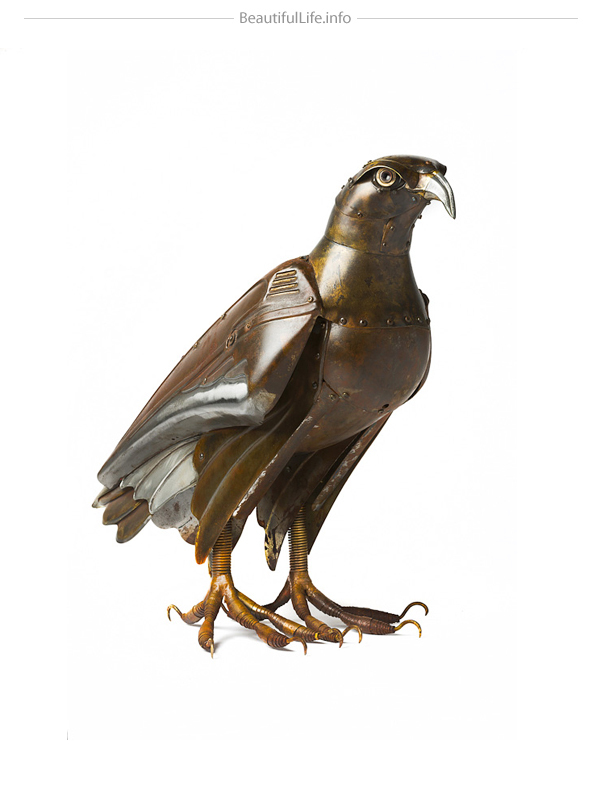 The artist does not solder or weld parts but assembles them with the precision of a watchmaker, screwing them together and taking around a month per sculpture. 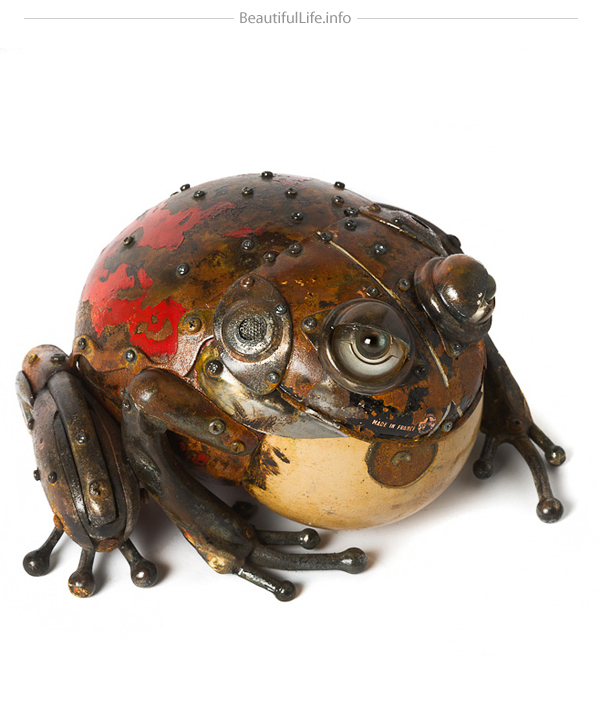 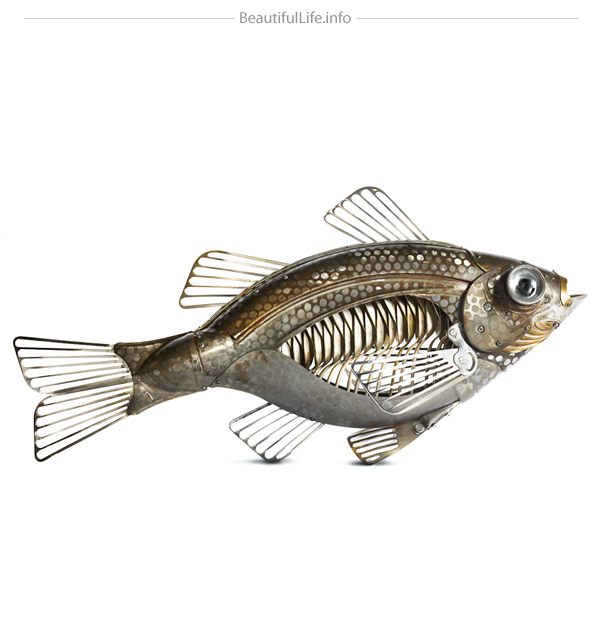 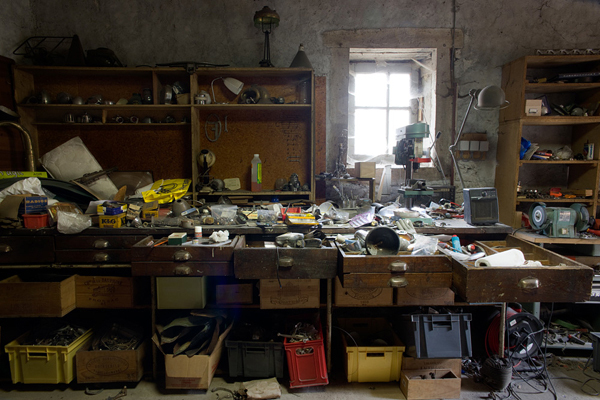 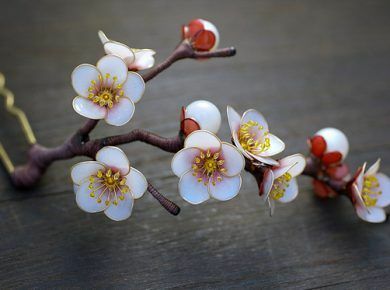 Martinet takes about a month to make a sculpture and will often work on two or three pieces at the same time. 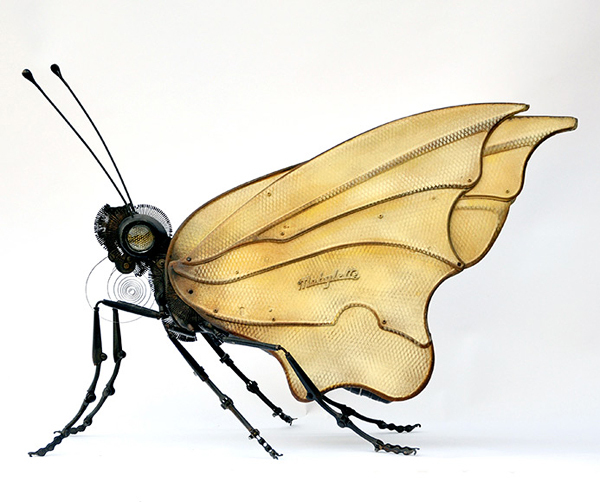 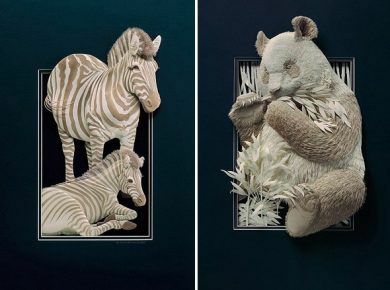 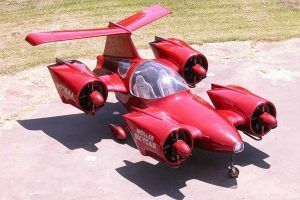 It took him just four weeks to make his first sculpture and 17 years for his most recent completion! 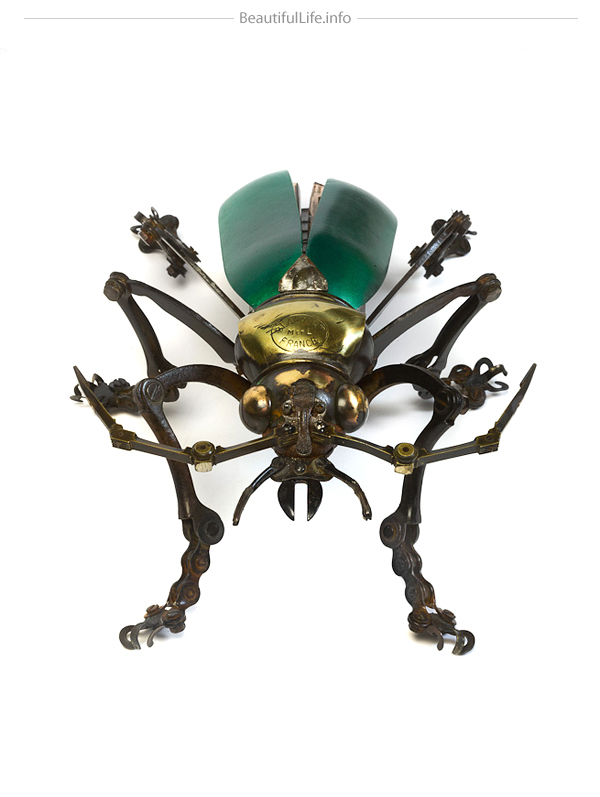 Some of his work will be on show at Sladmore Contemporary in London, opening November 27th.